The knighthood flourished and in 1929, Sire Harry undertook the amazing 51 1/2 year task of building Chateau Laroche, to serve as his retirement home and world headquarters for the KOGT. Seen here circa 1948, working on the ballroom. 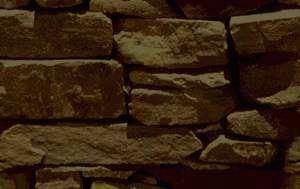 He carried more than 56,ooo five gallon buckets full of river rocks from the river to the site for the construction of the castle. 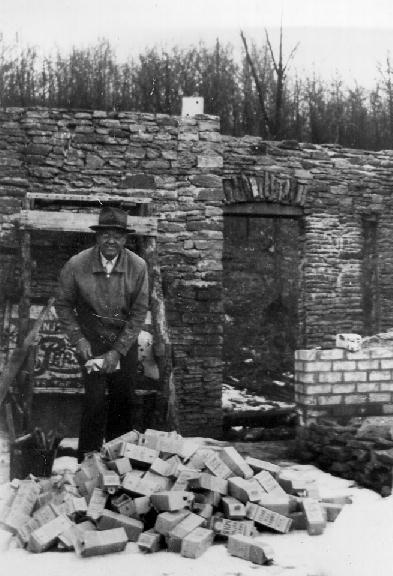 In addition, for the interior, he cast some 30,000 home made bricks using half gallon cartons as forms. Inside each of his bricks he cast a piece of solid waste garbage, empty soda bottles, soup cans, spent light bulbs and such. This created the hollow space the brick needs for strength, and insulation. It also reduced the brick's weight and material used. And let's not forget, it got rid of the garbage. Sire Harry was an avid recycler 40 years before anyone coined the phrase.